Making your own cheese alternatived does not have to be complicated. I aim to adhere to as clean diet as possible and therefore I like to make my own “substitutes”. 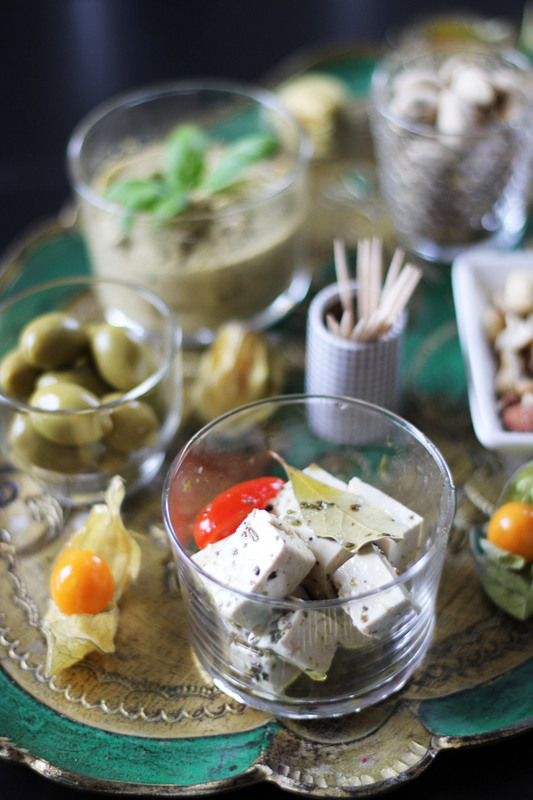 Weather you are creating a vegan cheese platter or a vegan Greek salad, this recipe is incredibly easy to throw together and even though it taste the best if it gets to marinate for longer, just setting this overnight in the fridge will do perfectly fine. I use quite a lot of dried herbs as I like the herby taste. There are plenty of ways to vary the marinade. Slice the tofu into cubes. Mix all the wet ingredients for the marinade. Crumble the dried herbs into the liquid. Mix together. Place the tofu into a container, add the bay leaf, sliced tomatoes and pour the marinade over the tofu. Place in the fridge for a minimum of at least overnight. Shake the container every now and then to distribute the spices. If I have basil plants at home, I add the stems to the marinade and place it with the tofu to add additional flavour.